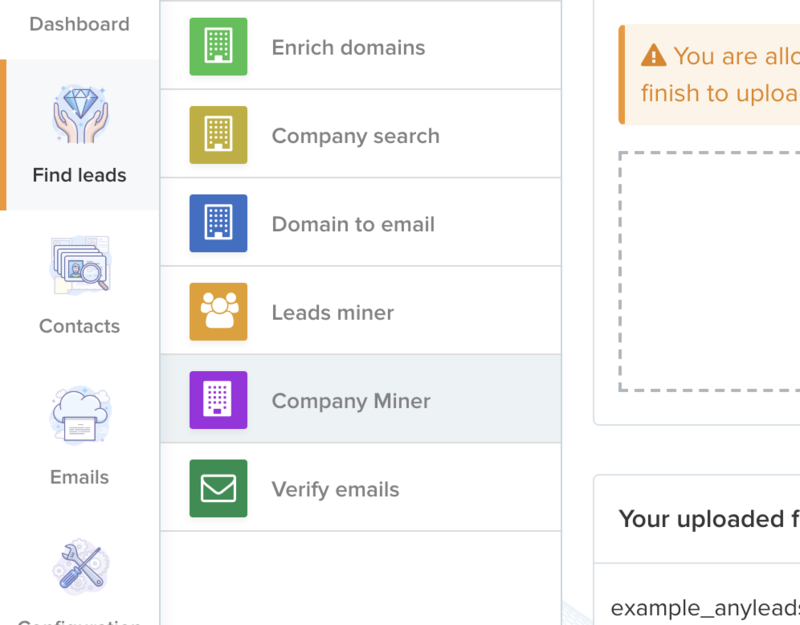 To find the email of a particular person or the email of several people working in a company from the first name, name and name of the company, we will explain how to use our &apos;company miner&apos; tool. 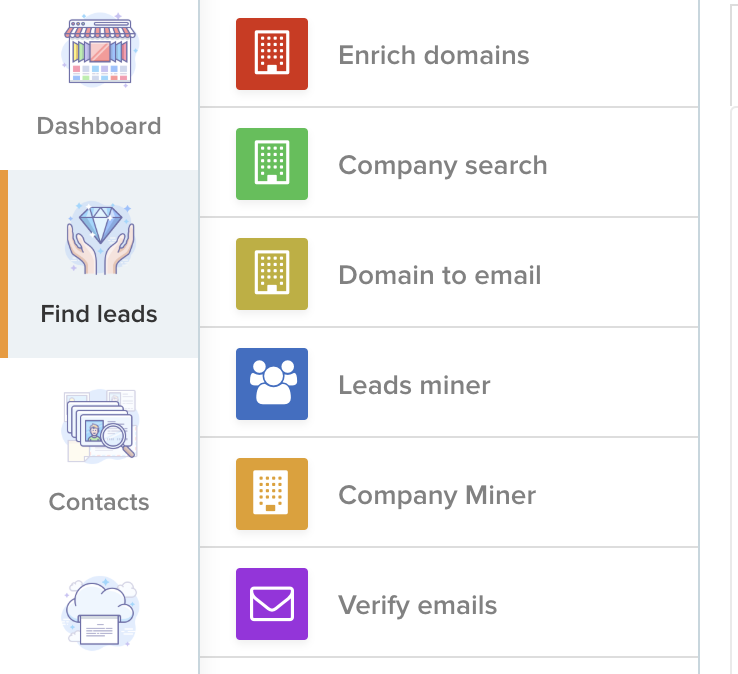 To get to the tool you need to click &apos;find leads&apos;. Then click on the &apos;company miner&apos; section. Once in the tool you must add a CSV separated by commas. You can download an example to see the constitution of the file. When the file is added and processing is complete, you can then download the export. In the export you will get the email found by the tool if it finds it, then the tool will give a null result. Have this tool you can upload files containing the first name, name and domain of the company, in order to rebuild the email of each line of your CSV.